The 2018 Bocce Ball Open season is in session. 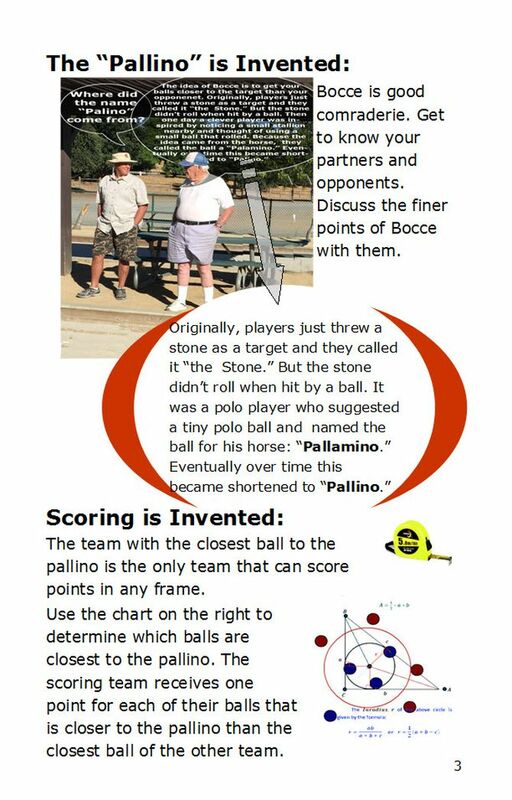 We begin play at 8:30 am and play on the Bocce courts in Newhall Park, Concord. Newhall Park is located on Turtle Creek Rd. between Treat Blvd. and Ayers Rd. Play is open to all SIR members and partners. 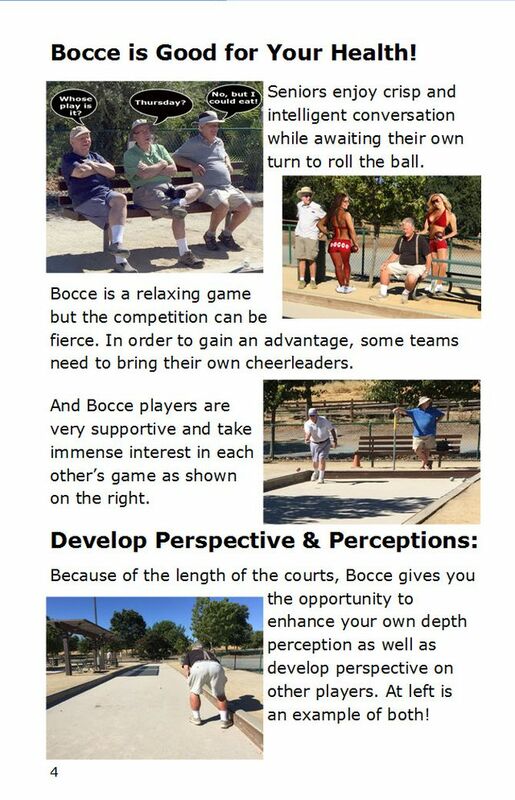 You do not require any knowledge of the game as we will show you how to play and explain the rules that govern the game of Bocce Ball. We provide all the equipment (Bocce Balls and score boards). I organize whoever comes to play into teams. If you have any questions, please call the Activity Chairman. 1. We only play until 10:30 and as a result some games may end early. 2. Whoever is ahead at 10:30 wins the game. 3. We play till the October time frame. It depends on the status of the weather (rain) and the condition of the courts (full of leaves). Click here to display the latest scores and rankings. The 2018 Concord Bocce Ball Federation (CBF) League season began in May at Newhall Park and Baldwin Park courts in Concord. 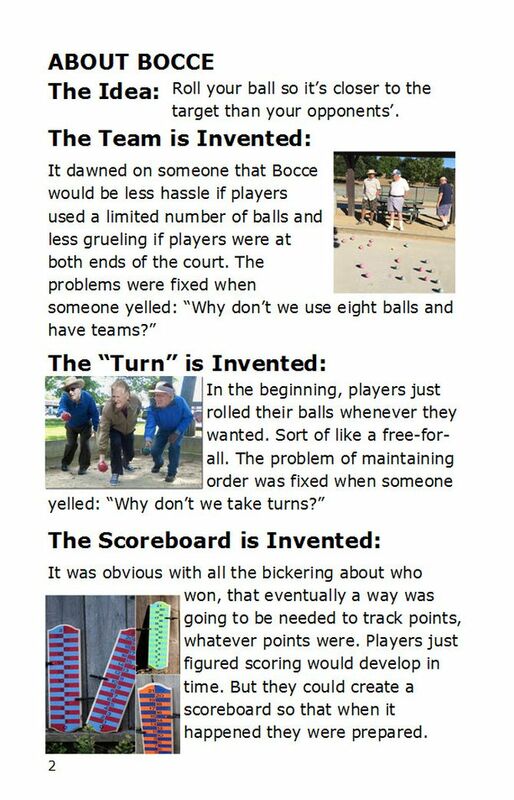 We (SIR Bocce team name) play Tuesday nights on the Baldwin Park courts which are located off Beach St. (near Port Chicago Highway and Bonifacio St.) Play is limited to 10 SIR members and/or partners and we have the requisite number. 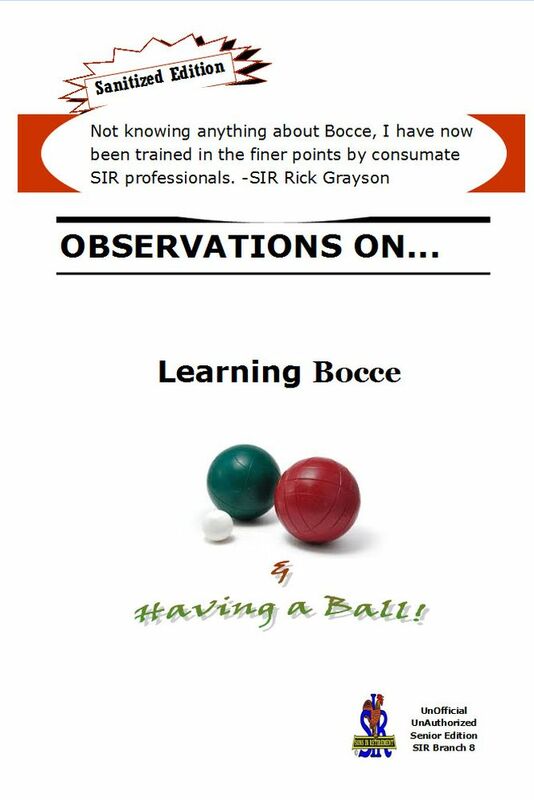 You do not require any knowledge of the game as we will show you how to play and explain the rules that govern the game of Bocce Ball. The CBF League provides all the equipment. If you have any questions, please call me (Activity Chairman). Click here to display the latest CBF league scores and rankings. The new Bocce Ball Courts in Baldwin Park, Concord have been built. Baldwin Park is located off Port Chicago Highway near Willow Pass Rd. The courts are available year round. During the May – Octobern (League play), the courts are available in the morning. If you wish to play Bocce Ball in the morning, then check in at the Senior Center. Baldwin Park contains the Concord Senior Center with available and paved parking. The Bocce Ball courts are in the middle of the park (behind the bathrooms) and opposite the Senior Center.